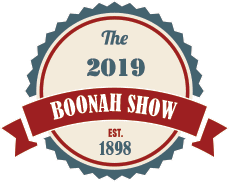 The President & Members of the Boonah Show Society thank the Queensland Government for their financial support through the Show Societies Grant Program. This financial assistance is a great help to all Show Societies, assisting them to continue to stage their Annual Show and enabling their district to gain from the economic, social and cultural benefits that shows bring to their local community. Boonah & Kalbar Real Est. The Committee of the Boonah Show Society Inc wishes to thank most sincerely the donors of trophies and prize money mentioned in this Schedule and also the donors who have assisted the Society funds generally. Without their valued support, it would not be possible to stage this event. We look forward to their continuing support for another 100 years of District Shows. The Boonah Show Society offers a Corporate Partnership Deal to your Business. If you wish to take advantage of this offer please visit our Partner Packages page for more information.